Performance of In Memoriam by Robert Ashley, and In Memoriam . . . Mary Cecil, Victoria Callihoo (Née Belcourt), and Eleanor (Helene) Thomas Garneau by Postcommodity and Alex Waterman. Compositions performed and recorded at Banff Centre for Arts and Creativity, Banff, Alberta, and the Windspear Centre for Music in Edmonton, Alberta. 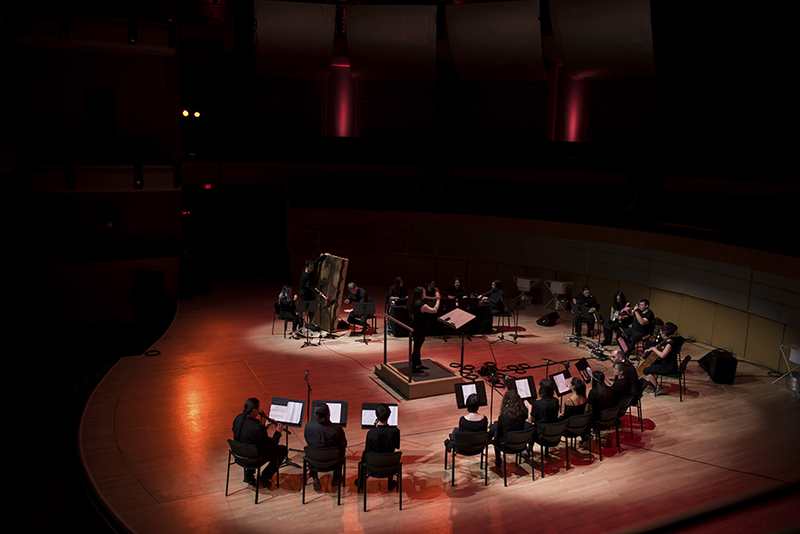 Photos of Performance at the Windspear Centre for Music by Kelsey McMillian, Laughing Dog Photography. 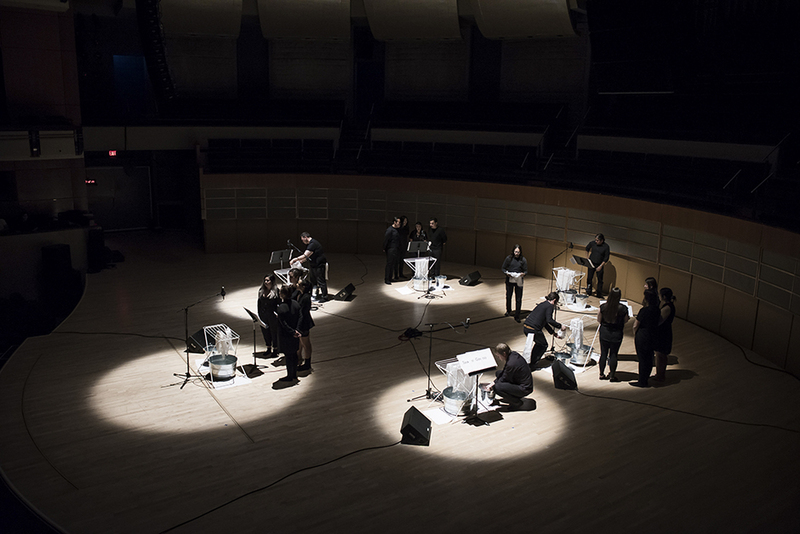 Commissioned by Ociciwan Contemporary Art Collective, Postcommodity and Alex Waterman partnered with indigenous musicians of Alberta to re-imagine Robert Ashley's In Memoriam, which includes compositions that historicize and memorialize four historical figures (Esteban Gomez, John Smith, Kit Carson, and Crazy Horse). By focusing an indigenous gaze upon three of these figures, the artists sought to engage narratives that inscribe colonial legacies. Rather than write themselves out of the histories of these figures, the artists chose to decenter and complicate Ashley's intentions through faithful performances of his musical scores. The result signifies the recovery and public expression of subjugated knowledge, or counter narratives, about who these figures were and their legacies. In addition to the three colonial figures memorialized by Ashley, the artists also problematize the white construction of a Native American hero. 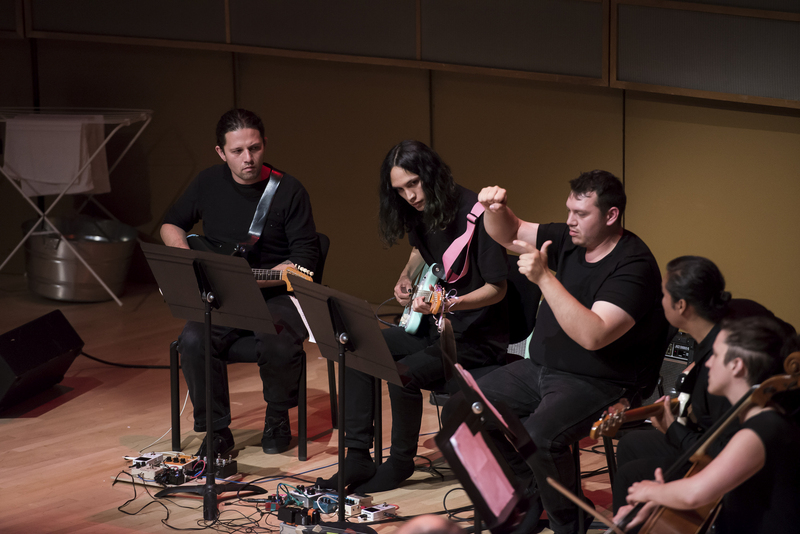 For the first time in music history, an indigenous led orchestra composed of mostly indigenous musicians performed Crazy Horse by Robert Ashley. Bringing indigenous knowledge systems to the stage (a reclamation of place), the orchestra sought to bring dignity to the memory of Crazy Horse through their own mark of assent. By performing Ashley's compositions, the collaborators call into question who we choose to memorialize, and how and for what purpose does one inscribe someone's legacy. To bring balance to Ashley's discourse, Ociciwan, Postcommodity, and Alex Waterman composed a fifth In Memoriam, written to memorialize three notable indigenous women of Alberta, Canada who demonstrated survival and adaptation through their incredible knowledge, strength, and courage. 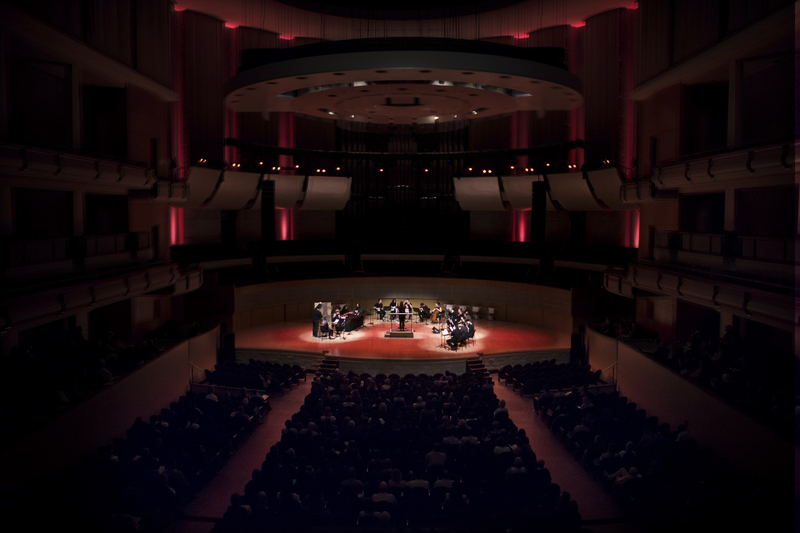 The debut performance of this work took place on July 18, 2017 at the Windspear in Edmonton, Alberta along with performances of Esteban Gomez and Crazy Horse. Ociciwan, Postcommodity, and Alex Waterman additionally collaborated with writer and publisher Will Holder to publish the book In Memoriam . 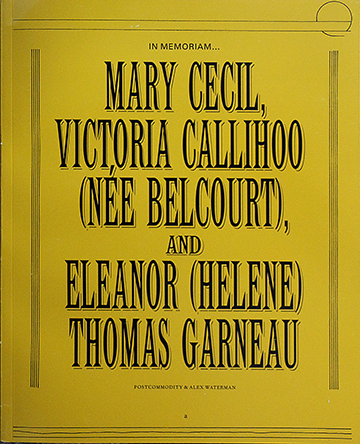 . . Mary Cecil, Victoria Callihoo (Née Belcourt), and Eleanor (Helene) Thomas Garneau. In early 2018 a limited edition vinyl pressed album of all five compositions recorded by the aforementioned orchestra will be released to the public. This forthcomming album was recorded at Banff Centre for Arts and Creativity, Banff, Alberta in July 2017.